Discover facts and information about the Tree Symbols of the North American Native Indians. Tree symbolism is the representation or meaning of something that is usually specific to a particular culture or society. Gain an insight into the Tree Symbols of the Native American Indians. Understand the significance of the 'Standing People' and the use of trees and the knowledge of tree symbols in the culture of Native Americans. The Cherokee call trees the Standing People and teach that all of their plant relations are the givers of the Earth providing for the needs of others. Each tree has its properties and attributes with the ability to share these with the people - tree symbols. Trees provide healing medicines, shelter from their branches, a place for burrows for the small animals and provide materials to build homes. A Tree symbolizes permanence, longevity and its firm base symbolises the concept of ‘roots’ and an ongoing relationship with natural surroundings. Such positive characteristics and attributes of trees lend themselves to being revered. The willow symbolizes inner wisdom, an open mind with the stability and strength of age and experience. The Iroquois had two great leaders Dekanawida, the Great Peacemaker and Hiawatha who united the 5 nations to create the Iroquois Confederacy. The Great Peacemaker used a white pine, called the Tree of Peace, to symbolize the peace and friendship that had been established by creating the confederacy. The branches of the Tree of Peace represented protection. A far seeing eagle sat upon the top of the tree to symbolizing a warning system between the tribes and beneath the roots of the Tree of Peace a weapon was buried. This symbolic act meant that there would be no fighting between the Iroquois tribes. Tree Symbols. Discover the vast selection of pictures which relate to the History of Native Americans and illustrate many symbols used by American Indians. The pictures show the clothing, war paint, weapons and decorations of various Native Indian tribes that can be used as a really useful educational history resource for kids and children of all ages. 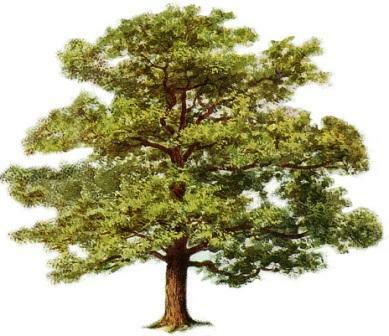 We have included pictures and videos to accompany the main topic of this section - Tree Symbols. The videos enable fast access to the images, paintings and pictures together with information and many historical facts. All of the articles and pages can be accessed via the Native Indian Tribes Index - a great educational resource for kids.